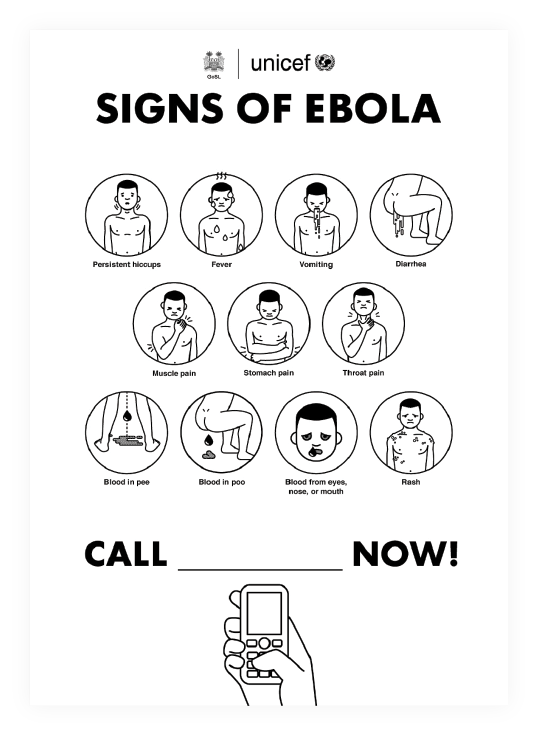 A series of two educational posters to help prevent the spread of the ebola virus. We found out that the printed material used to prevent and educate where very much text based and quite scary when not confusing. 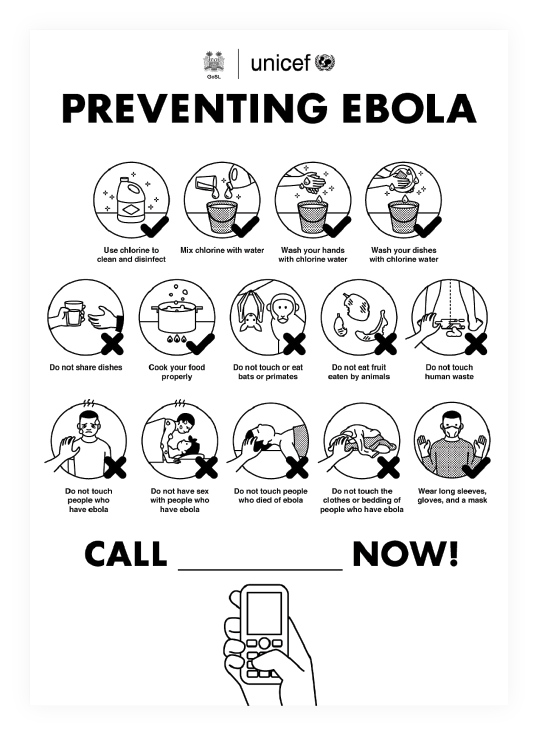 So we came up with stripped down posters to inform, educate and engage individuals, families and communities in clear practical terms on ways they can minimise risk of catching Ebola. We deliberately made them easy to replicate, quick to reproduce, legible in black and white and as universal a possible.